Elizabeth joined One Community Health as a part-time dentist in May 2004, expanding her role as dental director in August 2005. Since then, she has continued to broaden her responsibilities to clinical integration director overseeing our dental, medical, and behavioral health services. Before coming to One Community Health, Dr. Aughney was a general dentist in private practice in California, providing quality dental care to all ages and, in particular, helping ensure that children had enjoyable dental experiences and improving access for those under-served. She became a registered dental hygienist in 1981, then went on to graduate from the University of California School of Dentistry, earning her D.D.S. in 1991. As our clinical integration director, Dr. Aughney has many strengths but is perhaps best known for her strong communication skills, her passion for fulfilling our mission, and addressing challenges big and small. In November 2011, Belinda joined One Community Health as an accountant. A few years later, she was hired as chief financial officer. Belinda is an experienced financial executive with strong healthcare, audit and grant reporting knowledge. she also has a proven ability to understand business operations and financial systems. 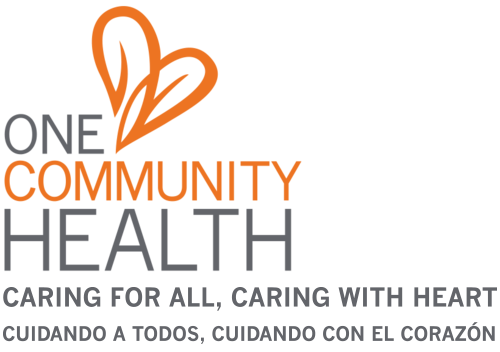 At One Community Health, she is highly respected for being detail-oriented in her work and having a genuine commitment to healthcare and helping others. She co-owned and ran a local software business for 20 years before going back to school in accounting. Belinda completed her post baccalaureate accounting certificate from Portland State University in Portland, Ore., with a bachelor degree from the University of California Santa Cruz, Calif. Outside of work, she can likely be found gardening in the summer or practicing her tenor saxs. Don't be surprised if you see Belinda playing out and about in a couple of local bands. Kathy Erlenbush came to us in 2008 with a strong background in the medical field, initially in the private sector. As One Community Health’s Patient Access Manager, Kathy plays the important role of staffing all our health centers with bilingual, qualified employees who interact with our patients personally, whether over the phone, through MyChart or at our front desk. Someone who values relationships, consideration, courtesy and empathy, she brings these and many other vital aspects to her own responsibilities on the job as well as to how she trains those on the patient access, medical reception and enrollment teams. Speaking of which, Kathy’s oversight of the enrollment services helps ensure we’re able to best support our insured patients as well as those who need assistance through the Oregon/Washington health care plans and Medicaid. In fact, she’s played a key leadership role in helping One Community Health become the “Medicaid Experts of the Gorge.” Originally from California, Kathy moved to Oregon as a teenager and enjoys spending time with her daughter who is a dental assistant in West Linn. When she’s not busy with family, Kathy likely to be found hiking, kayaking or fishing in the summer and snowshoeing in the winter with her best buddy, a Border Collie named “Remmy.” Kathy is also an aspiring children’s writer and has been pursuing this creative talent in her spare time, too. Paul joined One Community Health in January 2011 and is responsible for all Information Systems management functions providing operational and administrative direction to the IT, Records, and Facilities teams. Paul performs professional management functions associated with operations, IT support, system enhancement and integration, applications training, resource management, security and quality improvement services. Paul has over 30 years technology operations experience, including healthcare and EMR experience with a primary care medical center, where he demonstrated his expertise in network/technology infrastructure, design/installation/support for new applications and construction projects, telecommunications, IT security, HIPAA, disaster recovery, data center operations and vendor management. Whether working onsite or from his houseboat in Portland, Paul is a reliable, talented and ever-present leader in his role serving and supporting us. Jennifer came on board in 2012 and brings over 30 years in a director role for quality improvement, Health Information Management (HIM), Medicare and Medicaid compliance, risk management, utilization and revenue cycle management. Detail-oriented and team-driven, she's skilled in collaborating to ensure best practices and organizational outcomes for quality improvement systems, particularly in regard to our clinical measures. She also plays a direct role in helping ensure our goals are tied to being a Patient Centered Primary Care Home. Jennifer is accredited as a Registered Health Information Administrator and completed her bachelor’s in business administration from National University in San Diego. In addition, she has two associate's degrees—one in Health Information Management and a second in biology from SchoolCraft College in Livonia, Mich. Due to her qualifications and experience, she has consulted for other small businesses, working in myriad health care settings: outpatient, inpatient (rural & urban) and substance abuse facilities; HIM & Compliance software companies; PPO/HMO; and a college HIM program (faculty). When out of the office, Jennifer can be found gardening in the summer, skiing in the winter, and traveling whenever she can!